For rather obvious reasons, I'm not the sort of person who's seduced by fantasies of time travel. I love a good costume drama (the wardrobe in Outlander is outstanding this season, by the way), but I have no desire to live in any century other than the one we're in right now. Well, that's not quite right. I'm super curious about the time period around the year 25,000 BCE, but there's not a whole lot of silk and lace in the Paleolithic Era, so for lingerie purposes, we'll just stick to modern times. One of the garments I'm most fascinated by when it comes to historical underpinnings is the dressing gown (also known as a wrap or housecoat). These voluminous, luxurious silk and lace creations weren't just about lounging around in style, they also served the practical function of keeping people warm in drafty castles and manor houses before the appearance of central heating. While there's considerable - and increasing - attention devoted to the stays, corsets, bodices, panniers and hoopskirts of prior eras, there's comparatively little written about this first iteration of loungewear. What were the trends and how often did they change? How would tastes vary for a garment that would very rarely, if ever, be seen outside the home? Amoralle's Fall/Winter 2016 collection has me thinking about these dressing gowns and how they might have looked in the Renaissance, Baroque, and Rococco Eras. There's an over-the-top (but finely tuned) lavishness to each piece, an almost queenly sensibility. Yet they're all undeniably sensual as well. I feel fully engaged, fascinated even. 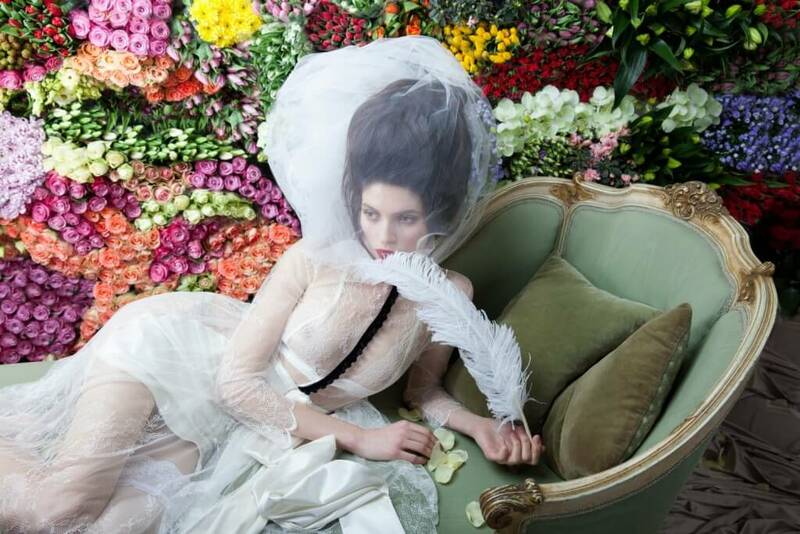 The silk, the lace, the feathers...why can't I have a boudoir in a flower garden? I especially enjoy Amoralle's ongoing commitment to opulence and extravagance. They've made an incredible transformation since their early days as Sockbox, and each collection is more refined and lushly detailed than the last. Especially in an era where lingerie brands are looking to constantly looking to cut costs, usually with simpler patterns, cheaper materials or both, Amoralle stands out. In a good way. 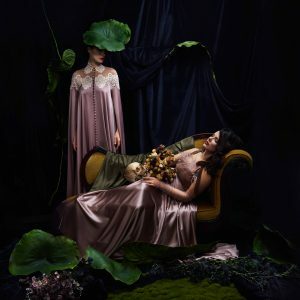 While there are only a few editorial images (all beautifully styled, in my opinion), it's worth visiting Amoralle's 'Wild Roses' lookbook to fully understand grandeur of this latest collection. I love lingerie that isn't afraid to be fantastical, that encourages people to dream and take up space and be impractical. Amoralle does exactly that this season, and I love them for it. 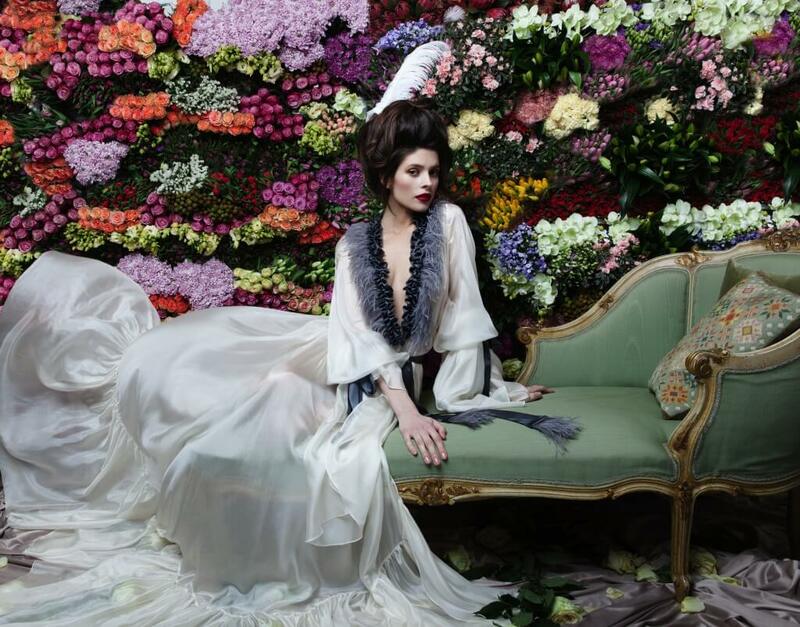 What are your thoughts on Amoralle's 'Wild Roses' collection? Would you wear anything? Do you have a favorite look?